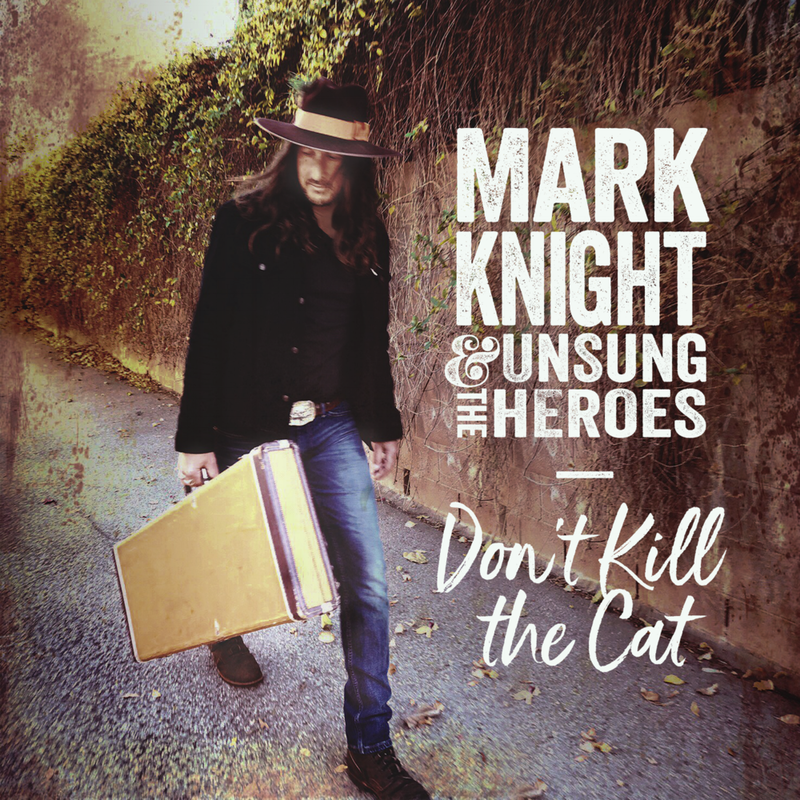 On March 13, 2018, Mark Knight & the Unsung Heroes will be releasing their second studio album, Don’t Kill the Cat. Drummer Matt Abts and bassist Jorgen Carlsson, both of Gov’t Mule, contributed drums and bass, respectively, on “Free.” Vocalist Oni Logan (Lynch Mob) duets with Knight on “Hey Mama.” Mark Tremalgia (Disreputable Few, Mark Knight & The Unsung Heroes) and Paul Ill (Disreputable Few, Alicia Keys) also appear on the album and have been longtime collaborators with Knight. Edward Shemansky (Worry Beads) contributed backing vocals as well as drums to the record. Alexander, in addition to recording, contributed backing vocals and keys to the record. The album’s title track, “Don’t Kill the Cat,” showcases Knight’s propensity to bleed his heart out lyrically and features his no-holds barred storytelling inspired by the events in his life. “It is a true story,” laughs Knight when asked about the curious title of the song. In keeping with his desire to bring new blood to the record, Knight has reformed the Unsung Heroes with all new members, including guitarist Kyle Stevens (Bang Tango, Worry Beads), bassist Wayne Lothian and drummer Edward Shemansky. Knight and Stevens, who first played together as the original guitarists for Bang Tango, are reunited again as dueling guitars over 25 years later. Produced by Mark Knight and Edward Shemansky and releasing on Knight’s own Knifewound Records, Don’t Kill the Cat will be available for digital preorder on March 6th and in digital and compact disc wide release on March 13th.